WASHINGTON – Capping a two-year battle on behalf of a Missouri veteran and his fellow servicemembers, U.S. Senator Claire McCaskill has successfully passed into law her bill to deliver decades-overdue relief to veterans intentionally exposed to mustard gas during World War II. McCaskill’s Arla Harrell Act—named for the last living Missouri veteran exposed to those mustard gas experiments—was approved by the Senate last night, after gaining approval in the U.S. House last month, and now heads to President Donald Trump for his signature into law. During World War II, thousands of U.S. servicemen were exposed to mustard agents through secret U.S. military experiments. By the end of the war, 60,000 servicemen had been human subjects in the military’s chemical defense research program, with an estimated 4,000 of them receiving high levels of exposure to mustard agents. For decades, these servicemen were under explicit orders not to discuss their toxic exposure with their doctors or even their families. The U.S. military did not fully acknowledge its role in the testing program until the last of the experiments was declassified in 1975. The military did not lift the oath of secrecy until the early 1990s. Click HERE to watch a video about the findings in McCaskill’s report, “Cruel and Unusual Service”. Following her investigative report, McCaskill battled what she called a “decades-long record of ineptitude and failure” at the VA, and enlisted the support of Republican and Democratic colleagues—including Veterans Affairs Committee Chairman, Johnny Isakson of Georgia, and Congresswoman Jackie Walorski of Indiana, who introduced companion legislation in the U.S. House. McCaskill also rallied veterans service organizations in support of her bill, and successfully pressured President Trump’s Veterans Affairs Secretary David Shulkin in support of the legislation. that delivers relief to veterans exposed to mustard gas – Clayton Times <Loved it! my time here at net, however I know I am getting knowledge every day by reading such fastidious posts. from my iphone 4. I’m trying to find a template or plugin that might be able to correct this issue. What’s up Dear, are you actually visiting this website on a regular basis, if so after that you will without doubt take fastidious know-how. if I may I desire to suggest you some fascinating things or advice. After checking out a number of the articles on your website, I seriously appreciate your way of writing a blog. I think the admin of this web page is genuinely working hard for his site, as here every stuff is quality based information. I have a mission that I am just now running on, and I’ve been on the look out for such information. Appreciation to my father who shared with me regarding this website, this website is really amazing. What’s up, the whole thing is going well here and ofcourse every one is sharing facts, that’s genuinely good, keep up writing. In addition, The contents are masterpiece. you have performed a magnificent job on this matter! of the highest quality blogs on the web. I will highly recommend this website! the finest sites on the internet. I most certainly will recommend this blog! I just want to mention I am newbie to blogging and site-building and absolutely liked this web blog. Probably I’m planning to bookmark your blog . You definitely have fantastic articles and reviews. Regards for sharing with us your web-site. more. Thanks for wonderful information I used to be on the lookout for this information for my mission. have any tips and hints for first-time blog writers? It’s an awesome article in support of all the online users; they will get benefit from it I am sure. lot more smartly-liked than you might be right now. You’re very intelligent. You have performed an impressive activity and our entire community will probably be thankful to you. I don’t know why I can’t subscribe to it. Is there anybody else getting similar RSS problems? something totally, however this post offers nice understanding even. 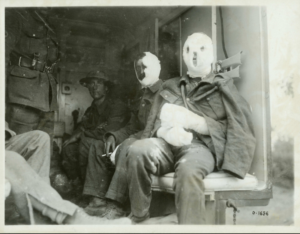 to veterans exposed to mustard gas – Clayton Times <Liked it! Thank you, I’ve just been looking for info about this topic for a while and yours is the greatest I’ve came upon so far. Hello, this weekend is nice in support of me, since this time i am reading this great informative piece of writing here at my home. I am looking ahead on your subsequent submit, I’ll try to get the cling of it! In fact when someone doesn’t know after that its up to other viewers that they will help, so here it takes place. with such information much. I was looking for this particular information for a very long time. you made to make this actual submit amazing. Fantastic activity! remaining phase 🙂 I care for such info a lot. to encourage you to definitely continue your great job, have a nice evening! I’m developing a new blog site concerning literature (what I’ve checked out, what I’m reading), but I’m having trouble thinking of a title. I such as the concept of something involving a fascination with literature but I assume bookophilia gets on the average side. What do you think of Litophilia? Is it as well comparable to “lithophilia” Which indicates the love of stones? Any type of suggestions? Thanks!. It’s an remarkable paragraph in support of all the internet viewers; they will get benefit from it I am sure. me. Anyways, I’m certainly happy I stumbled upon it and I’ll be book-marking it and checking back often! site and now this time I am visiting this website and reading very informative posts at this time.